3 Bedroom Semi Detached House For Sale in Liverpool for Asking Price £197,500. 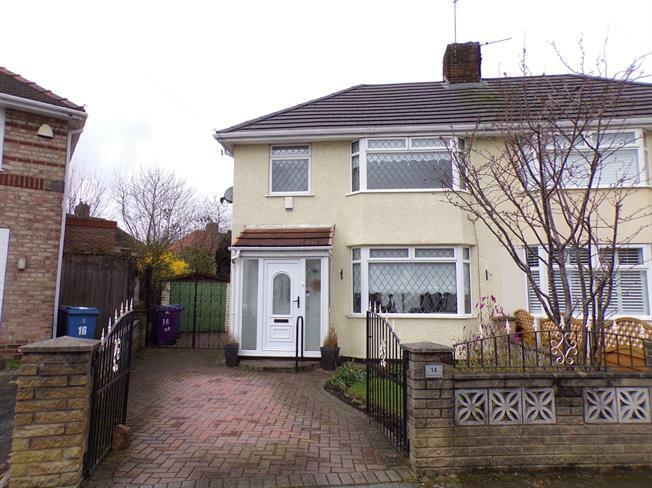 This well presented, extended semi detached house is located on Francis Way, which can be accessed via Bentham Drive, in the highly desirable residential area of Childwall, L16. The area is extremely popular due to excellent schools, local shops, superstores and easy access to the M62 and frequent public transport links. This lovely family home is positioned on a corner plot, which is of a substantial size. The property comprises of an entrance porch, hallway, downstairs WC, large open plan lounge, dining room, library, conservatory and good sized kitchen. To the first floor, there are three bedrooms; two double and one single and a family bathroom. Externally, the property benefits from off street parking, garage, large front and rear gardens and a patio area to the side of the property.